With the ever-increasing technological world that we live in, you wouldn’t be surprised to find out that 74% of online adults use social networking sites. 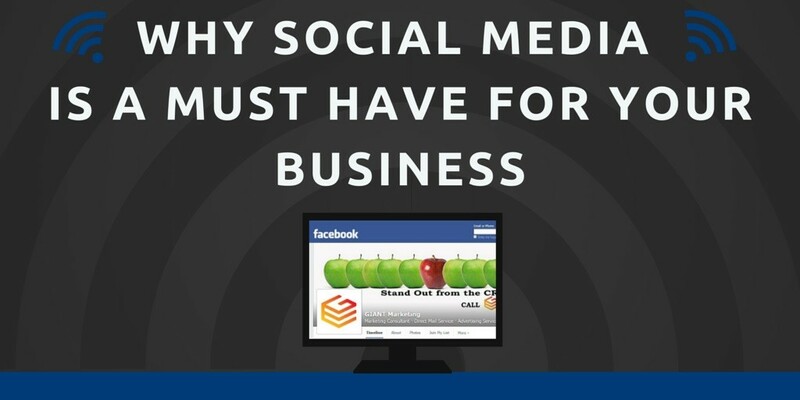 What you might not realize, however, is that only 55% of businesses are utilizing social media as a primary tool for their marketing strategy. Over the past year, this number has been on the rise and is projected to grow exponentially over the next few years as more and more businesses realize the benefits of social media. Social media is strengthening your competition by helping them actively engage the public you aim to serve. How this happens is that social media networks provide a voice to often faceless companies and help them build relationships with potential consumers, even your potential consumers. So, if you aren’t on social media, your clients and potential consumers ARE (and it is likely that so is your competition!). Therefore, it is essential for you to get on the social media bandwagon because it is no longer merely a tool that gives you a competitive edge, it is a societal expectation that your brand has a social media presence with which they can learn more about and engage with you. Social media is found to be the top Internet activity participated in, even surpassing email. This means that the public is spending more and more time on social media. So, ask yourself, who are you marketing your services or products to? Members of the public! So, shouldn’t you be on social media, too? Additionally, out of the marketers that chose to utilize social media, 92% of marketers indicate that social media is important. Gives you the opportunity to learn about your audience. Who they are, what are their likes/dislikes, and what is it that they need from you. Reaches diverse groups of consumers, thus increasing your exposure and expanding your fan base. Provides you with the tools to easily find your target audience and increase the probability of marketing to those who actually need/want what you are selling. Generates leads for one third of the cost. Enables you to share information instantly with your followers. You keep them up-to-date and they inform you of how you are doing (Hello, feedback!). Allows you to share information that links back to your website, instantly driving traffic from social media to your main hub to create long-term engagement. Serves as a mutually beneficial platform where the consumer and company can build a more personal relationship that is otherwise not achievable. Results in finding more customers. For example, 36% of marketers found customers on Twitter, more than 50 percent on Facebook, and more than 40 percent on LinkedIn. While it might be tempting to forego the cost (and experience!) of social media professionals, it isn’t advised (and that’s not just because we offer this service). Actually, we offer this service because we have seen what happens when businesses choose to go it alone. Too often, companies are so motivated to get involved in social media that they join every network possible, subsequently spreading their time and resources too thin and resulting in dissatisfied, neglected followers that are hungry for information. Likewise, without the knowledge and advice of a seasoned social media marketer, you risk damaging your company’s credibility by posting too much, not posting enough, posting the wrong information, and even posting the right information but at the wrong time or on the wrong network (there are just SO many factors). But even companies who choose to handle their own social media accounts can no longer afford to do it for free. Social media networks are cashing in on the findings that businesses are using their services, and getting results! In order to stay relevant in the competition and get your information seen (and shared), you have to utilize paid Facebook advertisements, Promoted Pins on Pinterest, and Twitter’s mobile targeting. Thus, companies thinking that they don’t have time, energy, or financial resources to expend on a solid social media strategy is quickly becoming a thing of the past. So much so that social media marketing budgets will actually double over the next five years. Even after you have considered all of the information and data that reveals just how powerful social media marketing is for your business, you might still be unsure of whether or not it is right for you. Honestly, social media isn’t the most effective marketing option for every single business, but it is for most! When making your decision, it is important to realize that social media will not be the answer to all of your business woes. Likewise, you cannot just merely sign up for a social media account and expect followers to come to you without putting work into building relationships. You have to educate yourself on the best tactics, keep up with the latest trends, create, promote, and share quality content every single day, and spend time getting to genuinely know your followers. In short, social media is not a magical elixir, but it is a remarkable tool that is currently unrivaled for reaching and engaging your audience in a whole new way. As previously stated, 55% of businesses are currently using social media networking to their advantage by making connections and getting their name more visible. The question is, why aren’t you doing something to ensure that your company isn’t forgotten in the meantime? Do you have any comments or questions about social media? Share them below, we’d love to hear from you!